Beginner Forex Currency Trading in Australia: What Is It All About? A beginner in Forex may tend to be overwhelmed with all the complexities involved but fact is, the basics are quite easy to learn. If you are looking to get started in Forex trading, you just need to understand the terms and grasp a basic understanding of how the Forex market works. The learning curve may be steep at first but as you get the hang of it, Forex trading should be very feasible. The Forex market is basically about the exchange of two currencies against one another. Almost, if not all countries are involved in this massive market that has a volume of about 4 trillion dollar a day. If you have ever traveled and needed to exchange the currencies from your hometown to that in your destination, then you have participated in this massive market. And because this is a very active market, it is quite possible for investors to make a substantial amount of money. However, let’s not forget that just like other kinds of investments, Forex trading also has some risks. The rates of different currencies in the markets are constantly fluctuating and there are many reasons for this. Some include bank interest rates, economic growth expectations, trade balance, employment outlook and any action caused by the central bank. Forex traders who deal with currencies for investment purposes do so by using a special trading platform provided by their Forex broker. It’s interesting to know that these days almost all transactions are handled online and in Forex trading, this is no exception. There is also the opportunity to trade in margins where a small balance held by your broker can manage much larger deals. Since the slowdown of the stocks market, a lot of investors have been resorting to Forex trading. What’s more, investors have found several benefits with trading in currencies. For one, an investor is not limited to dealing in his own country. He can trade any two currencies regardless of where he lives. This is because Forex is a 24 hour market and can be accessed at any time. 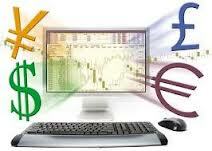 How Currencies are Expressed in the Forex Market? Each currency in the markets is represented by 3 letters. For example, the US dollar is indicated as USD, British pound is GBP, Euro is EUR, Japanese Yen is JPY, Australian dollar is AUD and Canadian dollar is CAD. Other currencies in the market have their own corresponding symbols. Australia Forex Brokers: Beginner Forex Currency Trading in Australia: What Is It All About?